Good evening! I have one last post to finish up Digit-al Dozen Week. I know it's late, but better late than never, right? And I am super happy with this one too! Happy Friday the 13th! 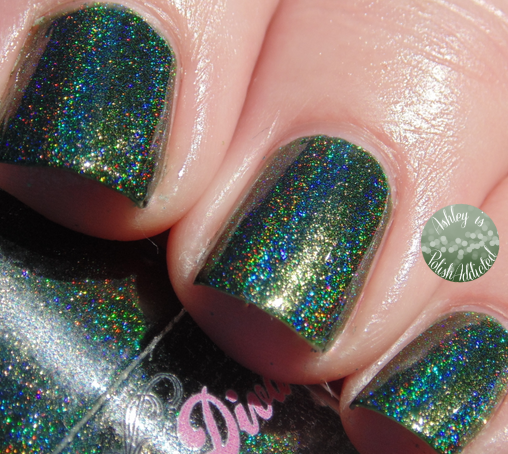 I have a brand new collection from Darling Diva Polish to share with you tonight! 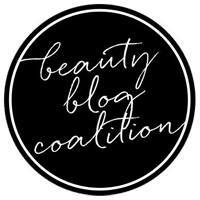 This launches tonight at 7 PM CST! 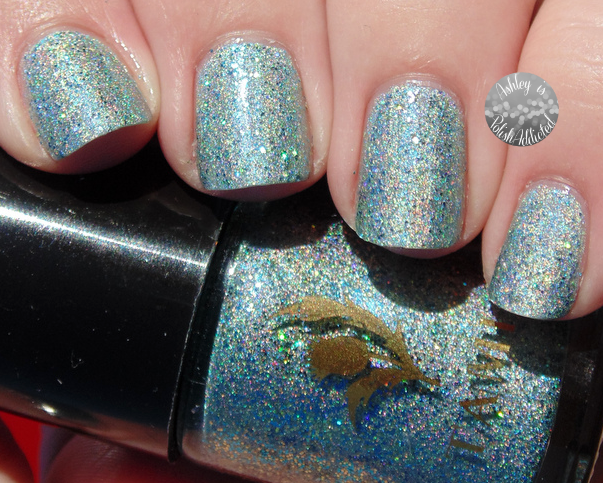 I have to apologize because, while I swatched the complete collection, apparently my SD card ate about 50 of my photos so I am missing photos of two of the polishes (except for one that was left of one of them matte). More about that in the post! Hello! I'm back for Day 2 of Digit-al Dozen Patterns on Patterns Week! I went pretty far out of my comfort zone on this one and I'm still not quite sure how I feel about the finished look. Hello! Digit-al Dozen Week is back! And, of course, I'm off to a late start! This week's theme is "pattern on pattern," which is proving quite challenging. 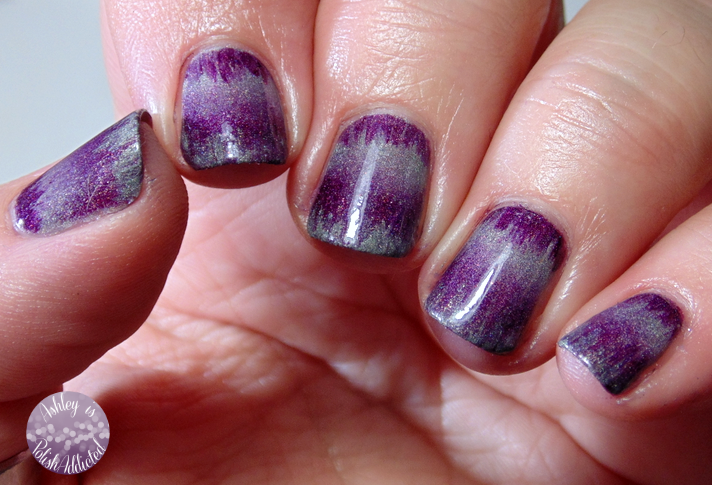 But it's also producing some gorgeous manis from my fellow Digit-al Dozen-ers. This is the second mani I did for today. I hated the way the first one turned out so I went in a completely different direction and I really love the end result! Good evening! I hope you all had a great weekend! 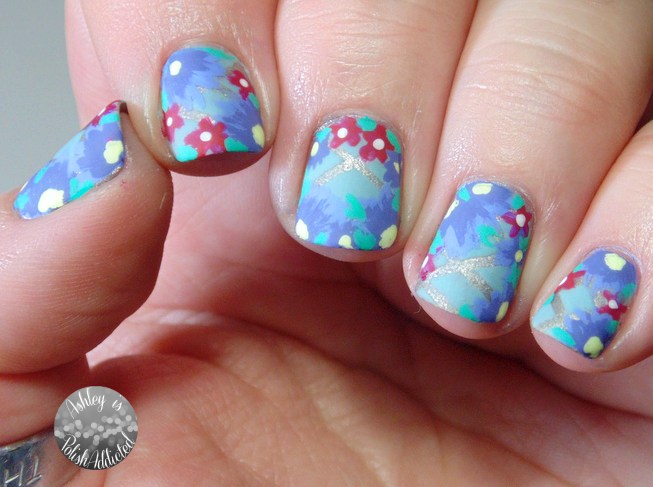 I have a quick nail art post for you tonight before the kickoff of another Digit-al Dozen week tomorrow! 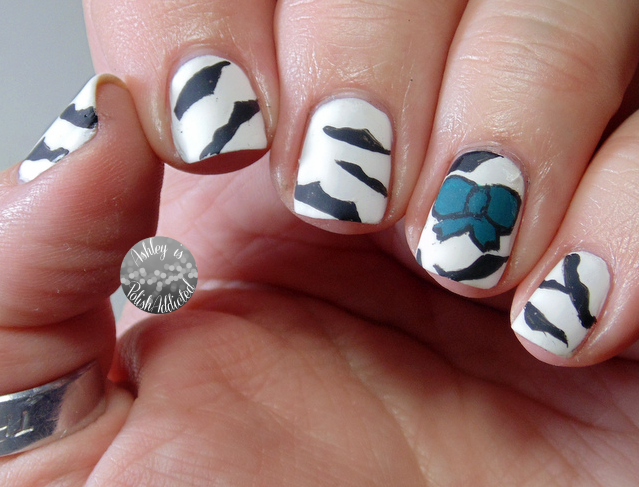 This mani is inspired by a very special person to me. Read more details after the jump! Happy Hump Day! 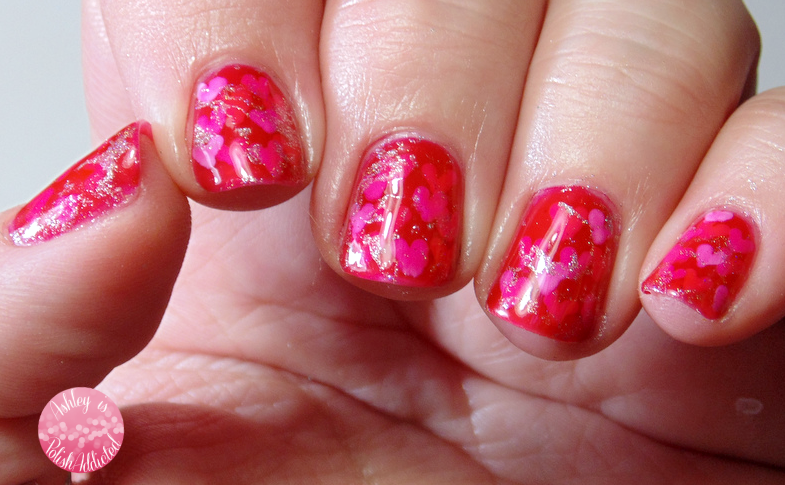 Tonight I have a post showing you Darling Diva Polish's Valentines Day Collection, The Bad Pickup Lines Collection. And boy, she wasn't kidding. These are awful pickup lines! The polishes, however, are stunning! Good evening! Who else is thrilled that another Monday is over with? I know I'm not the only one! (I would really hate to be Monday though. How sad must Monday be? No wonder it hates us back!) Anyway, I have a post for you today that I should have posted Friday, but the last few days have been crazy so here it is. 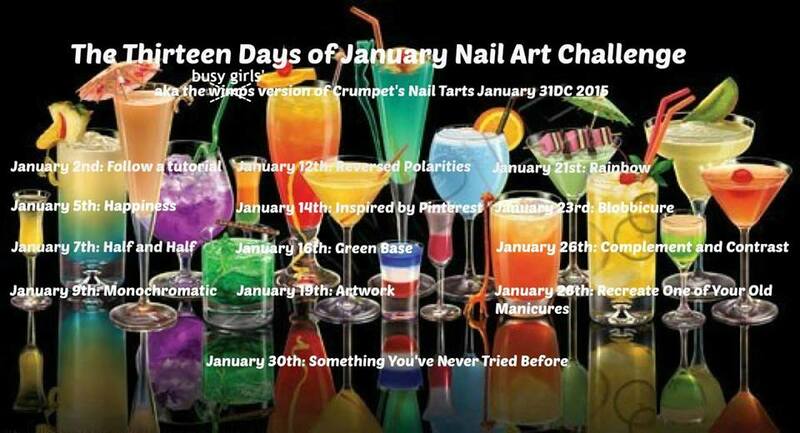 The final prompt in the 13 Days of January Nail Art Challenge is "something you've never done before." 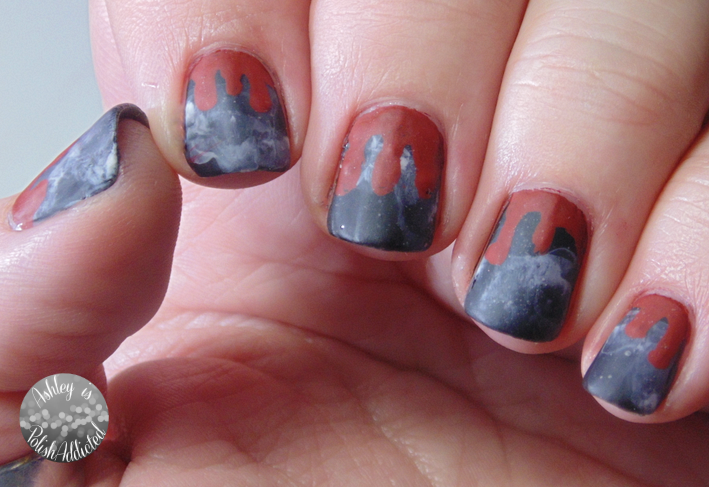 Well, I had never done a negative space mani before because I'm not a huge fan of them. I like a few that I have seen but mostly they aren't my thing. Plus my nails are pretty stained so the only space I felt comfortable "exposing" my nails was at the base. I'm also not typically a fan of half moon manis on myself (though I do love them on other people), but I figured I'd give them another shot. I apologize for the quality of the photo (phone pic). I didn't intend on leaving them like this and just snapped this pic quickly to show a friend. I freehanded the half moons and I am pretty proud of how those turned out! I did attempt to add some art on top but it just didn't turn out well so I decided to stick with these instead. Sometimes clean and simple is the best! And I actually enjoyed wearing these. Half moons and negative space - I sure didn't expect to like it but I ended up wearing them all weekend. 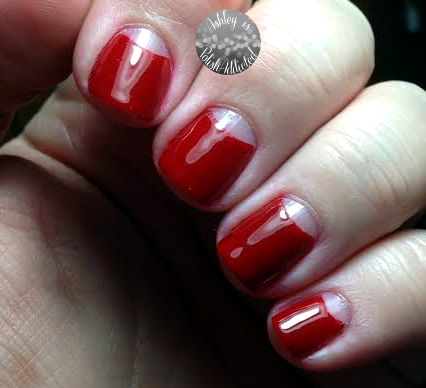 The red I used is SinfulSHINE Devious.